Hunt and arrest illegal recruiters. This is an order of President Rodrigo Duterte to National Bureau of Investigation (NBI) and the Criminal Investigation and Detection Group (CIDG). 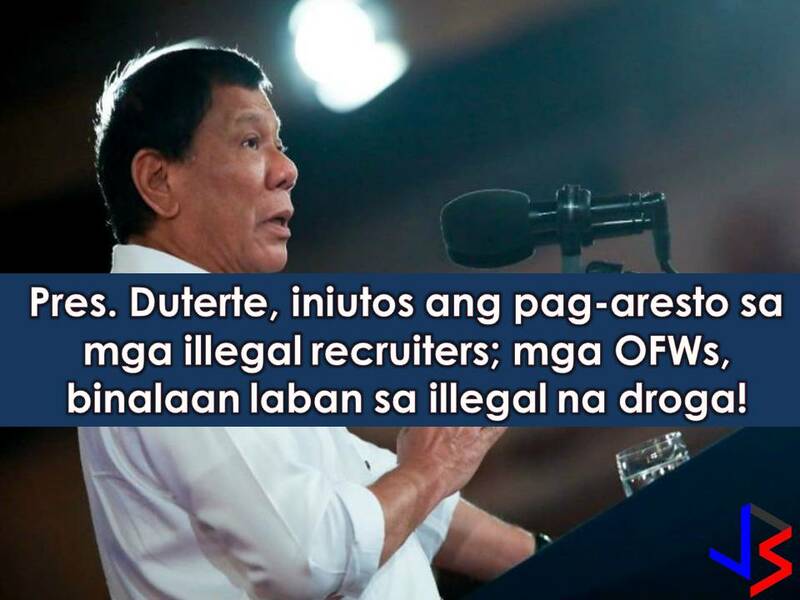 The president said that aside from targeting "riding-in-tandem", killers, car thieves, and kidnappers, PNP should make illegal recruitment a priority. When he was a mayor in Davao City, he said, he once gave a shoot-to-kill order against illegal recruiters. For those who need help, he said, go directly to the NBI or CIDG because they are the investigative body of the police force task after illegal recruiters. "Human trafficking is a serious problem that transcends borders," he said. "Therefore we all have a responsibility in making sure that this battle is won." Duterte also issued a warning for OFWs abroad to follow the rules of your host countries. He cited drug cases as an example. 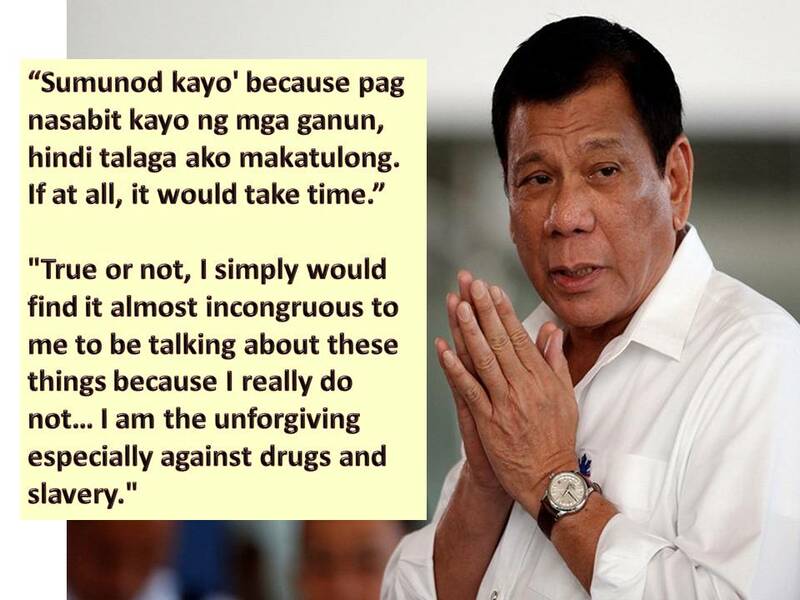 Duterte explained that he has refused to make any statements in cases where Filipino are caught abroad on drug charges.